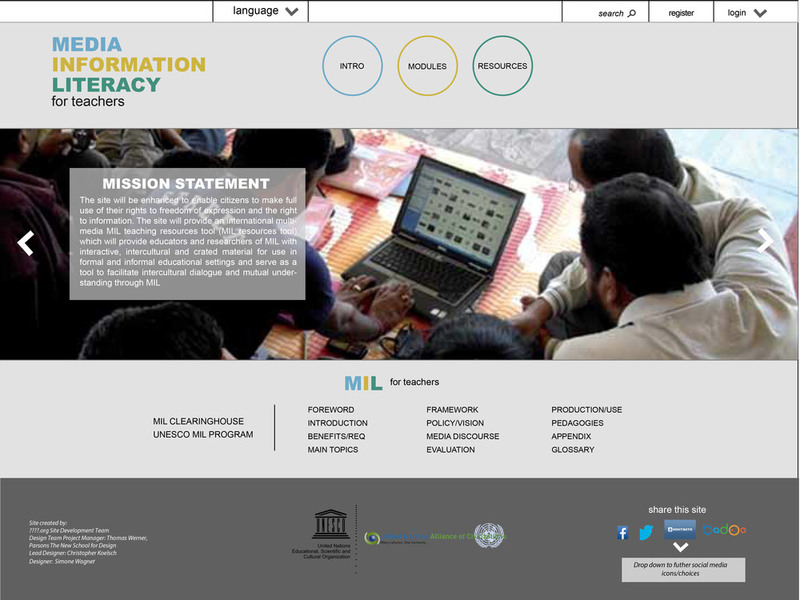 Media and information literacy (MIL) equips citizens with competencies needed to seek and enjoy the full benefits of this fundamental human right. Media and other information providers such as libraries, archives and the Internet are widely recognized as essential tools for helping citizens to make informed decisions. They are also the means by which societies learn about themselves, maintain public discourses, and build a sense of community. Media and information channels can have a major impact on lifelong learning, and therefore citizens need a basic knowledge of the functions of media and other information providers and how to assess them. 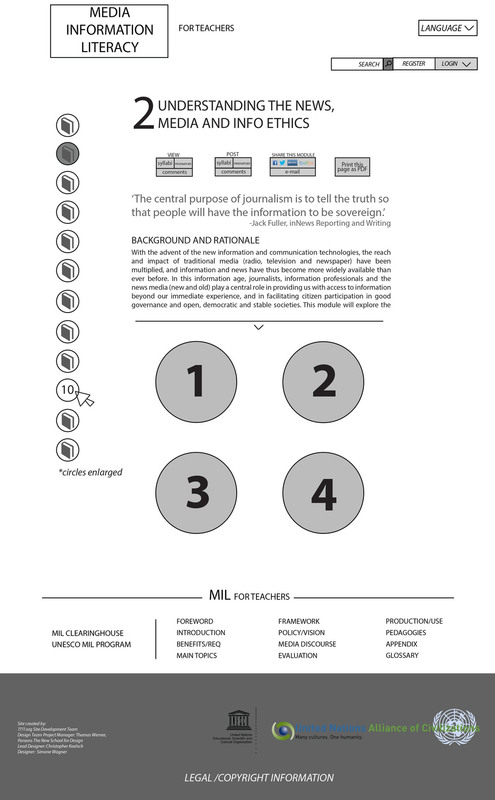 The purpose of media and information literacy is to impart this knowledge to the user. Along with Thomas Werner Projects, I was involved in the creation of an online digital curriculum to educate students and teachers worldwide about implementing Media & Information Literacy. 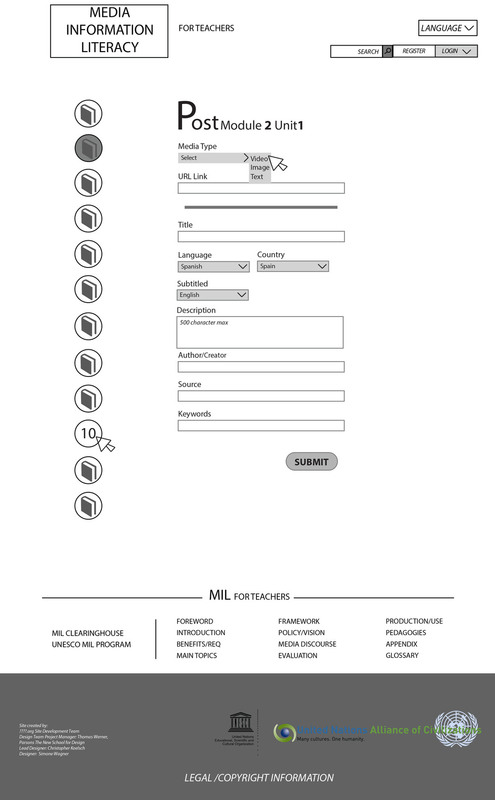 Helmed by the United Nations under UNESCO, the project involved initial meetings with the UNESCO staff about goals, objectives, strategy and the creation of a UI/UX set of wireframes. 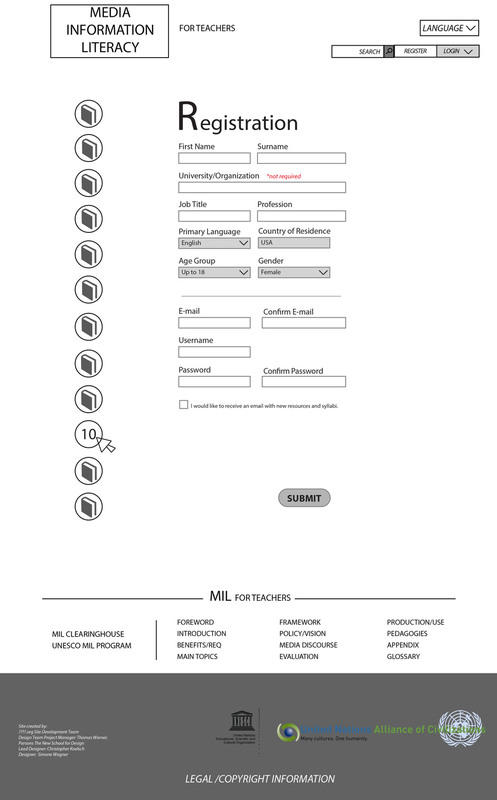 With the creation of a teaching system with modules, it was a complex project involving coding in HTML5, and an understanding of custom post-types in a CMS (Content Management System) using Wordpress . 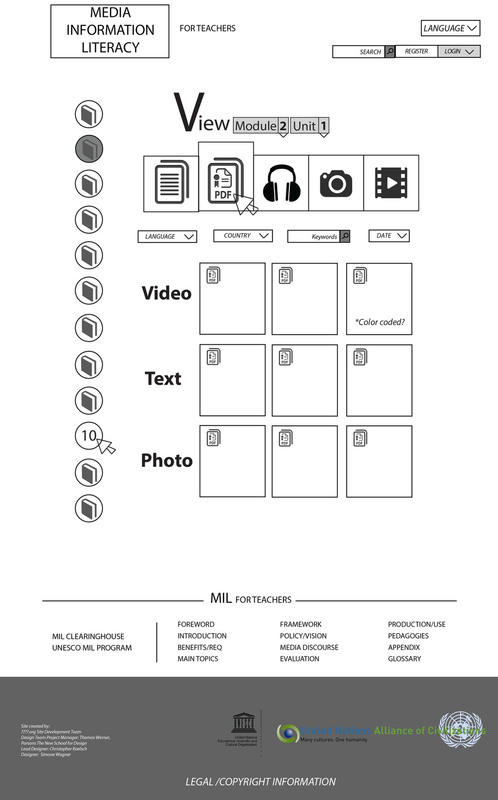 MIL Media Information for Literacy is still currently a work-in-progress. The live, latest version can be seen here.